All of the staff were friendly and went out of their way to make our stay wonderful. The room was spacious and the view breathtaking. The front desk staff was wonderful. Especially Mikel who I dealt with directly at checkin. He was very professional, kind, and attentive to our needs. Thank you again, Mikel. Room was clean and comfortable. Pool area was nice, a bit small for a facility so large. Staff was nice and helpful. Easy access to beach. Good location. Great resort! From the pools to the store to the beach!! I love it! Our room had a really great view. The staff was friendly and it was a great deal for a place to stay. 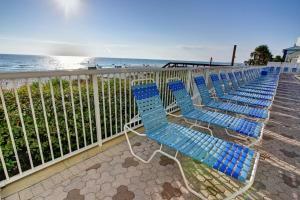 It was an ideal location right on the beach as stated. Weather was relatively good and it was easy to get down to the beach. The two bedroom condo was spacious with two separate bathrooms and a full kitchen and living area. The property and room was clean and well kept up! Easy access to everything we needed! Friendly staff, clean facilities and rooms, nice place as a whole. the check in progress was fast. the location was excellent. wifi was easy to gain access too. 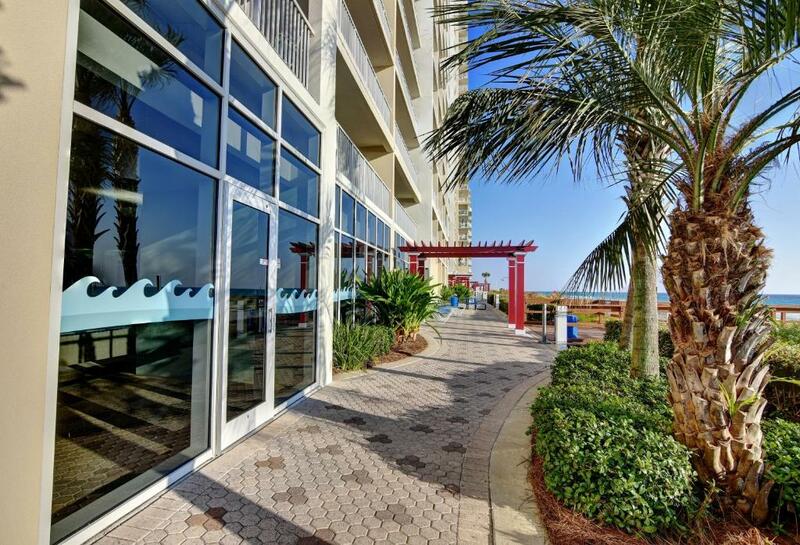 Majestic Beach Resort by Resort Collection This rating is a reflection of how the property compares to the industry standard when it comes to price, facilities and services available. It's based on a self-evaluation by the property. Use this rating to help choose your stay! Featuring an outdoor pool and free WiFi, this beachfront property is located on the shores of the Gulf of Mexico. 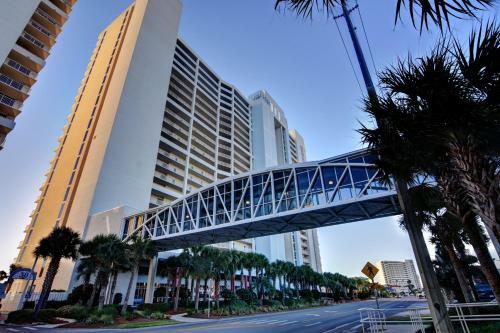 Central Panama City Beach is less than 1 miless away. 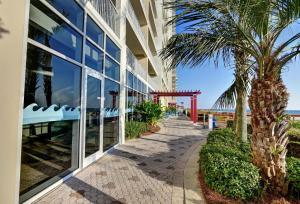 Studios at the Majestic Beach Resort have kitchenettes and a private balcony. The suites offer fully equipped kitchens and separate seating areas. Guests of the Panama City Beach Majestic Resort can try their hand at tennis on the on-site courts. 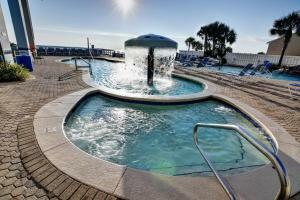 After a day in the sun at the private beach, guests can relax in the hot tub or fitness center. The H2O Bar and Grill is found on-site and features an American style menu. The Hombre Golf Course is less than 1 mile from the resort. Shipwreck Island Water Park is 5 minutes’ drive away. When would you like to stay at Majestic Beach Resort by Resort Collection? 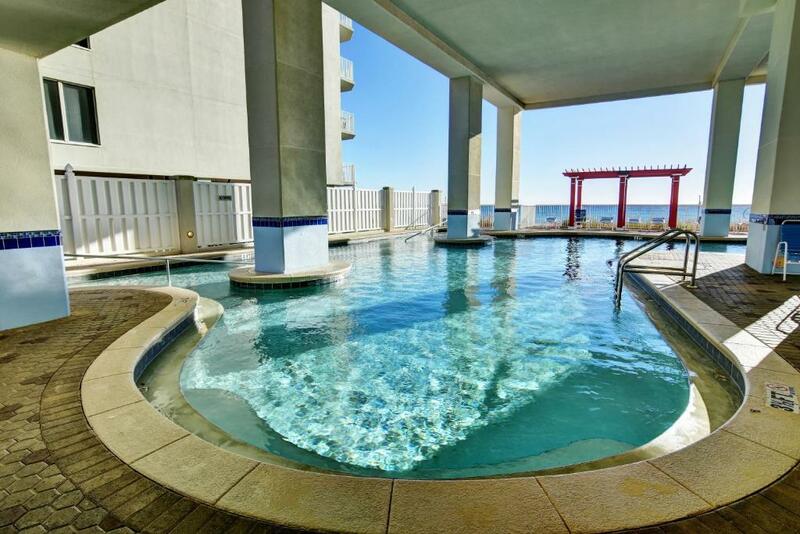 This condo features a fully equipped kitchen and in-unit laundry facilities. Please note décor may vary. Condo features a fully equipped kitchen and in-unit laundry facilities. This condo features a kitchenette. 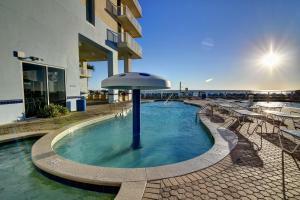 Condo features a fully equipped kitchen, in-unit laundry facilities and a separate seating area. Suite features a fully equipped kitchen, in-unit laundry facilities and a separate seating area. Majestic Beach Resort is aptly named. 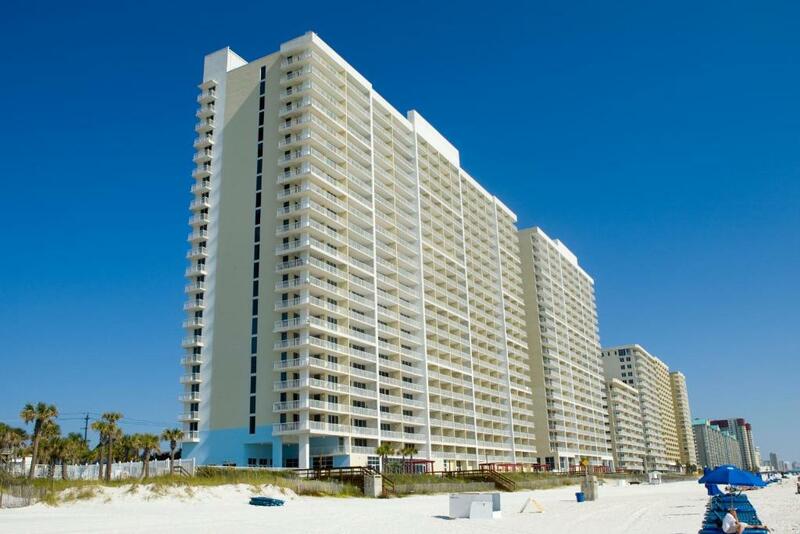 With over 650 feet of white-sand beach on the Gulf of Mexico, it is truly a majestic place. You will discover the ultimate in happiness in these gulf-front accommodations with studio, one-, two-, three- or four-bedroom condos available. 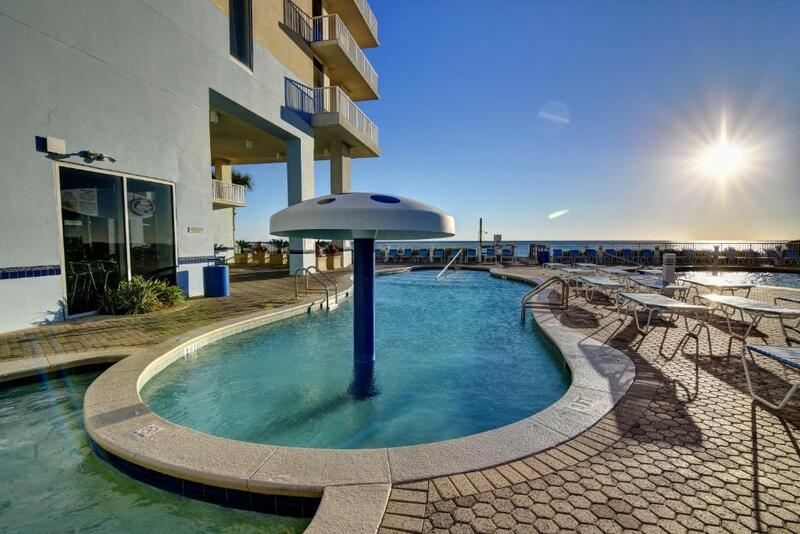 Majestic is a perfect place for family reunions and special occasion vacations. 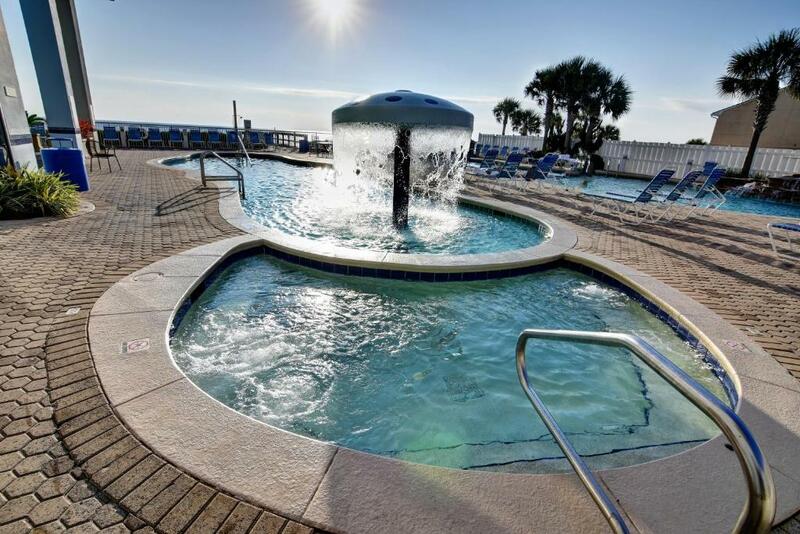 Spend time with family and friends with poolside gatherings, picnics on the beach and breathtaking sunsets over the glistening emerald waters of the Gulf of Mexico.Rentals come with free DVD rentals and access to health club with steam room and sauna. Check-in BEGINS at 4PM; Check-out is PROMPTLY at 8AM. Check-in is on site. Guest booking the reservation MUST be at least 21 years of age and the credit card used MUST belong to that individual. There is a non refundable damage waiver fee in the amount of USD 49.00 Please note it could take up to 30 days after departure to receive a refund if unit is left in acceptable condition. House Rules Majestic Beach Resort by Resort Collection takes special requests – add in the next step! Majestic Beach Resort by Resort Collection accepts these cards and reserves the right to temporarily hold an amount prior to arrival. During March, check-out is at 8:00. Please note: a deposit of USD 500 is required during Spring Break. Please note the property reserves the right to pre-authorize card on file. 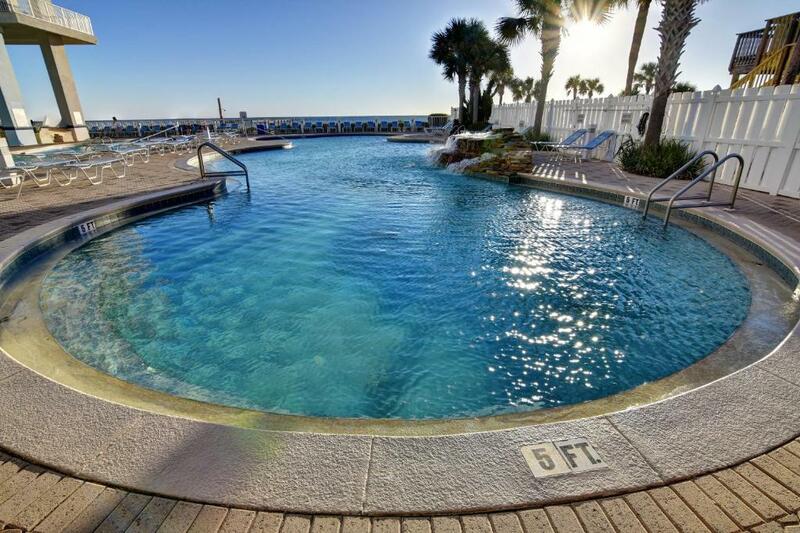 The security deposit listed below is only required for stays during March and April. Please note that the parking fee is taxable. A damage deposit of USD 500 is required on arrival. This will be collected by credit card. You should be reimbursed within 7 days of check-out. Your deposit will be refunded in full by credit card, subject to an inspection of the property. We drove in from MI and arrived around 630pm and our room was not ready. They said, well it is spring break and we are sold out. This is not my problem, I paid a lot of money to stay there and they should plan accordingly. In addition, my garbage disposal was broken and kitchen sink backed up 3 days while we were there before maintenance fixed it on day 4. Out door pools was wery cold. The construction was horrible. Having to walk across the street from the parking deck through dirt and mud to get to the condos was terrible. Inside the condo, the floors were sandy, overall not very clean. Water damage to the ceiling, no ice maker in the refrigerator and there was only one ice tray! Very disappointing for the amount of money that we paid. I understand a little inconvenience during construction, but not being able to use the sky walks was insane. We had to evacuate due to hurricane Michael. There are not enough elevators for the size of the facility. We spent a great deal of time waiting for the elevator at all times of the day. I will only stay at this place again if I can get a room on the 2nd or 3rd floor so I can use the stairs. Staff is in need of customer service training. Very rude. Only down side is the slow elevators due to everyone trying to check out of the resort. I didn’t like the parking situation. You have to park across the street in a parking deck. You stay inside most of the way to the parking deck which made it not so bad but I still would’ve rather had my car parked a little closer so it wouldn’t be such a “hike” to my car just to go somewhere. Carpet need shampooing or to be replaced. Better to replace and update carpet. Parking and checkout needed to be easier. Cart use was cumbersome.